Through a special one-time-only arrangement with PGA, Cboe has been given access to the exclusive, member's only Del Mar Country Club course. The CBOE Risk Management Conference Golf Event, which provides opportunities to network and discuss concepts with your colleagues, will be held on Wednesday, March 27th, following the day’s sessions. All RMC attendees are welcome- and encouraged to play. Cboe has arranged to hold our annual Cboe RMC Golf event at this private, member's only Club at no charge to our guests*. If you want to play, you must register in advance by emailing institutional@cboe.com. You must sign up before March 12. The number of players is limited. Lunch and transportation from Park Hyatt Aviara will also be provided, compliments of Cboe. 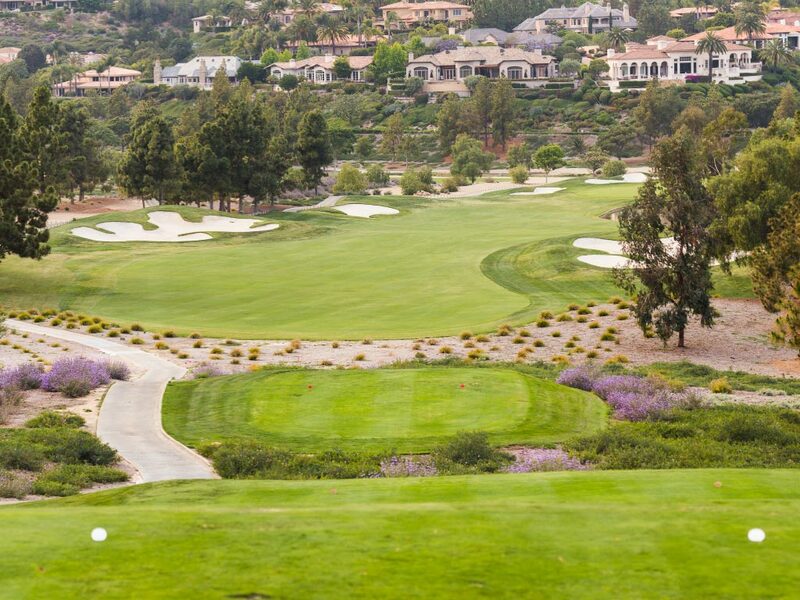 Tucked away in a quiet, secluded valley of Rancho Santa Fe, the Joseph Lee designed golf course at Del Mar Country Club offers an exhilarating experience – one that members and their guests want to play again and again. Embracing the site’s natural beauty and surrounding terrain, the design encompasses breathtaking vistas and an abundance of native flora and fauna. Winding around bubbling streams, crystal lakes, and cascading waterfalls, Del Mar Country Club’s championship course is as mesmerizing as it is challenging. Integrated naturally into the surrounding terrain, the course unfolds with five different tee settings, ensuring an enjoyable experience for all levels of play. In addition to its engaging layout, the course’s fairways and greens are noted for their impeccable surfaces. This ensures that, no matter when you step up to the tee, the playing conditions will be perfect. DelMar Country Club is located about 25 miles south of Park Hyatt Aviara and 25 miles north of the San Diego airport. Register by March 12, 2019 by emailing institutional@cboe.com or nadine@planitbest.com to take advantage of this opportunity! *Greens fees and transportation are complimentary for a limited number of players on a first come-first served basis. Club rentals, other food and beverage expense and Pro shop charges are not included.